“Dowsing is an ancient skill that uses simple tools and the power of focused intention to help bring balance, health and prosperity to people, their families and their businesses. 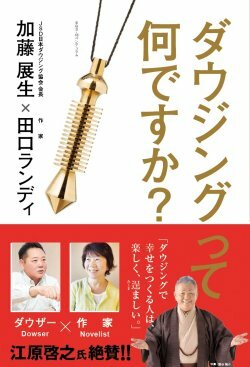 Dowsing has been rediscovered in the modern world, and Randy Taguchi and Nobuo Kato, in their new book “ What is a dowsing ? ”, take us on a fascinating journey that explores, through conversation, pictures and diagrams, the many ways that dowsing can be used to improve our lives. 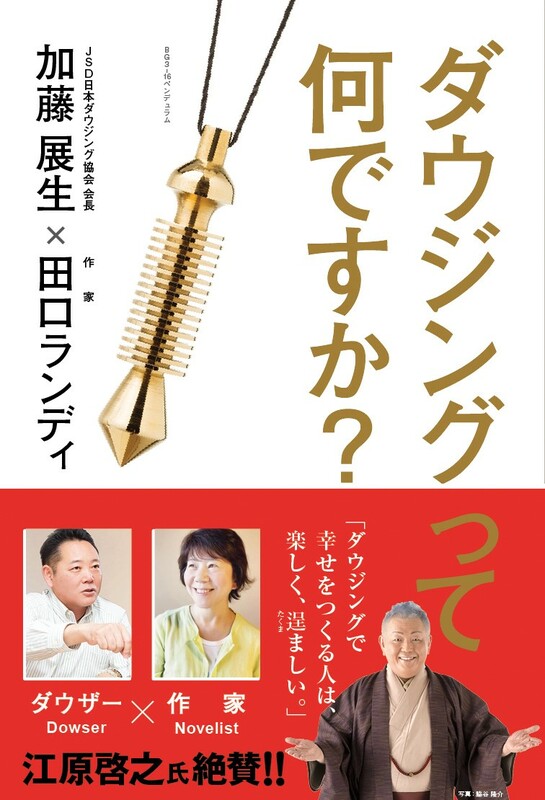 As a Professional Dowser I am impressed by Nobuo Kato’s true commitment to bringing this knowledge to Japan. He has travelled in Asia, Europe and North America, always meeting with Dowsers and learning from them. We are fortunate that Nobuo Kato shares what he has learned by giving workshops and publishing books and articles in Japanese. Novelist Randy Taguchi has strong creative power and an inexhaustible curiosity and imagination. She has explored many themes in her fictional writing, but in this book, she discovers that sometimes the truth of what dowsing can reveal can be as fascinating an experience as the fictional worlds she has created. This book is the first step in a lifelong journey to make the invisible connected vibrational world visible and tangible. With each step taken you will gain profound knowledge about the universe and your place in it. The French dowsing association is very proud that Mr. Nobuo Kato practices the French dowsing methods. 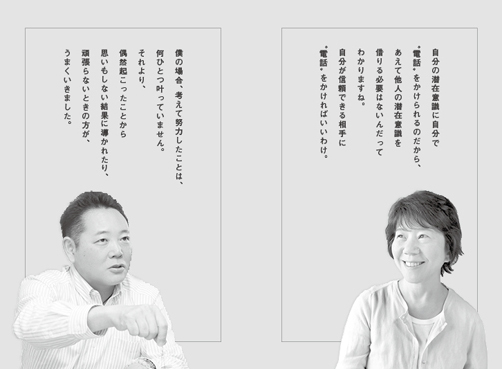 When we spoke about dowsing, I found in Mr. Nobuo Kato a very good technician, using essentially the physical dowsing technic of Chaumery and Belizal (two French dowsers); he practices also geobiology what is very important and useful in a country as Japan where many earthquakes happen every year. 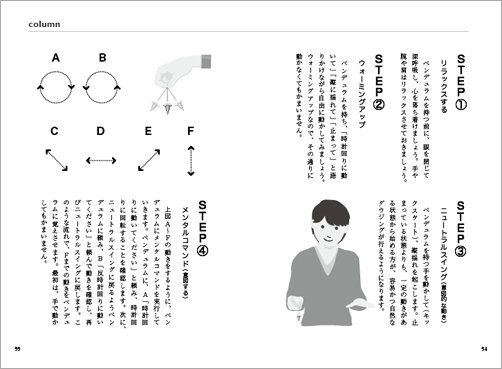 He designed a very interesting notebook of dowsing dials and I am certain that his new book which is a conversation with a Japanese novelist about fundamental and general information about dowsing will be a reference for all Japanese dowsers.